The assets you’ve been requested for so long finally available now on Asset Store. It’s low poly character pack for Unity 3D. NOTE : This comes with physic bones but without physics animation, Dynamic Bone are highly recommended. Categories: Asset Store | Tags: 3D, anime, asset, assetstore, gamedev, games, girl, indie, model, pack, schoolgirl, unity, unity3D | Permalink. Hi everyone, yeah, I haven’t post so much awhile, I mostly don’t know what to post and also busy doing lots of stuff here. So I was thinking to create some blog post about what happened with that. What happened with the site ? Apparently, I just find out that freenom disable both my domains (imgxd.cf and imgvtx.cf). Which was free and “Oh well” nothing else I can do, I can’t even pay for another domain to shorten the name. Because having to type laboratoriesx86.wordpress is just too hassle, combining with my wix.com portfolio site. Conclusion, I regret naming my blog name as laboratoriesx86. It’s just hard to type and remember. What happened with the Project IMG game ? Well, it’s still in hiatus, no progress have been made, but don’t worry, it wont be canceled at all cost. The thing is that I want to grind my 3D modelling skill until I satisfied with it then I can go on overhaul everything on the game. I’ve recently get some random story ideas I got at school in Japan, and also some environment references. So, I really can’t wait to finally do all of them. It’s kinda sad that the game was started development in 2016 and in 2017 I’ve stated the game in hiatus and now it’s 2018 still not even any progress been made. What happened with Life ? I’d say, currently I’m in the worst phase of my entire life. Lots of issue going on, financial issue, social issue, and so on. It’s just lots of stresses I had to deal with. I’m trying to sell lots of assets and even opening Patreon to support the financial issue I had, but that doesn’t help much (Except Asset Store, which still able to financially support me a little bit). I want to thank you to the person who’ve been bought my Assets and keep supporting me. I’m really glad that you like my assets. Anyway ! 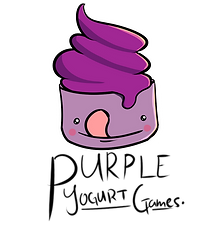 Thank you for still following my blog and visiting my blog ! I hope you’ll find my content useful for you ! I’ll post update later if I back to making game again. Have a great day ! It’s been a while I haven’t posted here. I was so busy doing lots of things especially that I already moved to Japan. I mostly still doing lots of 3D modelling exercises. There’ll be new Asset to be sell later on, especially Anime Girls pack. I’ll do my best to keep you updated with Asset Store stuff and my game updates. 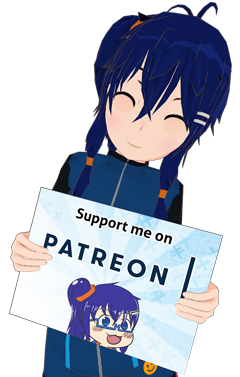 If you feel would like to support me, you can support me on my Patreon. Thanks a lot for keep supporting me ! Anime themed Townhouse pack including houses, props (windows, doors, and other stuff), roads, and texture baked house model. Each models tris are range to 100~800 tris. 2048×2048 textures with Normal map for baked house model. Demo scene also included and made in Unity 5.3.0, future version of Unity might need to do lightmapping again. ** This is ONLY outside of the house, there are no inside of it. Categories: RELEASED! 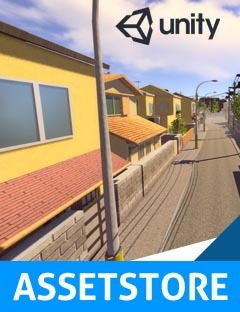 | Tags: 3D, anime, asset, assetstore, building, gamedev, houses, indie, model, pack, residential, townhouse, unity | Permalink. Unity Mega Sale is On ! 20% OFF Anime Style Classroom Prop Pack ! Categories: Uncategorized | Tags: 3D, anime, asset, assetstore, classroom, model, pack, sale, unity | Permalink. Anime themed Cafeteria / Canteen prop pack including doors and windows. Including more than 40+ prefabs with 1024×1024 textures and Normal Map also Illumination Map for Lighting objects. Material and mesh shared across objects. Each models polys are range to 100~800 tris. * Lightmapped in Unity 5.3, Unity 5.5 might need to re lightmap. Be sure to follow this blog or my Facebook page to get updated news on my game development and next asset pack ! Check out my other assets too ! You can also support me from it haha. Have a nice day ! Categories: Game Development, RELEASED! | Tags: 3D, anime, asset, assetstore, cafeteria, canteen, design, developer, engine, environment, game, games, high, highschool, indie, japan, japanese, model, prop, room, school, unity, unity3D, unity5 | Permalink. I haven’t write an updates for almost 2 months. But yeah, only did very few little progress on this game. Had lost my motivation doing this game on April. Because on April I was promised to do story writing. I get so much depressed and stressed while doing the story, like I can’t even come up another interesting idea. I keep rewrite story but always feel bland and flat like most generics.. I’ll probably keep discussing with my friends about the story. And this May too, I think I’m gonna pause the game development, as I’ll be doing on models and grinding my modelling skill making V6 models. [ADD] Gift function. So now you can gift anything to NPC and get their response. [ADD] SocialCORE on NPC. Now NPC can talk, joking, even flirting to each other. NPC will also greet you according your relationship to them. 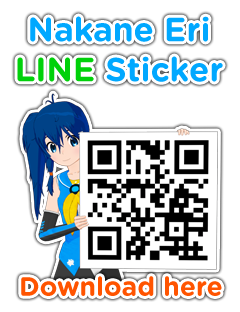 [ADD] NPC now can open their phone like usual teenager high school. [ADD] Mini object interaction. Things that appear a little conversation / feel on your mind about certain objects. [ADD] Extra activity. Now you can play Console Games or even watch Anime. This will affect your stats. [FIX] Now you can’t hit girls or certain AI. [FIX] Skirt physics, even it’s not 100% flawless, but that’s the maximum I can do. [FIX] Now using Vector3.Dot instead of lame rotation == on Activity CORE. This makes NPC wont standing while their legs pass through the chair for a long while waiting for the same rotation as the chair. Instead, now they reach the seat and begin sitting. [FIX] Broken choices that it selects both choice in the same time. [FIX] Wrong hat placement on a thug. [CHANGE] Shader of “Stop” scene limiter sign to a smooth particle. In this month, I’ll pause my game development again. Doing Teachers NPC models, setting up Anime NPC asset pack for Asset Store, and do V6 model with many accuracy. In a meantime, I’ll replay Persona 3 to get more inspiration. 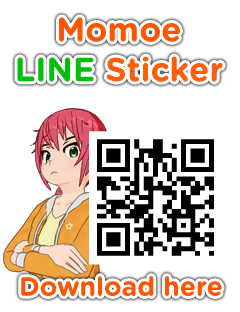 [TODO: ADD] DATE-A-CORE to be added later on as soon as one dateable female character is ready. [TODO: FIX] There’s a way to bug in a quest that require you to buy stuff. I’m still thinking way to patch it. [TODO: FIX] The way AI sit on chair is kinda broken. So yeah, that’s it. If you want to keep updated of my game project, please do follow, or like our facebook page here. I also have Unity Asset Store, you probably want to check out. You can also support me from it haha. Have a nice day ! Categories: Game Development, Update | Tags: 3D, anime, Development, devlog, game, life, projectIMG, school, sim, simulation, social, unity, unity5, update | Permalink.